Growing a business in the food industry is difficult. Marketing your restaurant, brewing company or food truck can be overwhelming. The Food Business Podcast is a weekly show for owners, brewers and restaurateurs wanting to get more customers and keep them coming back to their restaurants, breweries food trucks and more. We interview awesome guests from across the country who have the experience in the industry and will provide the insight you need. John Reno is one of the founders of Craft Donuts + Coffee. He joins The Food Business Podcast to share how he started the business and what things have been working well for them. After recording our first episode together last spring, Brian worked with Avidity Creative to rebrand his craft coffee roasting company, Ross Street Roasting. Brian shares what the experience was like to go through the rebranding process and particularly what you can expect if you decide to rebrand your company. Start the conversation of rebranding at http://www.aviditycreative.com. In this episode I’m joined by soon-to-be former home brewer Zach Dobeck with Roots Brewing Company. He shares what his experience has been like so far as he is setting to build and open his own brewery. It’s practically impossible to keep brewery employees from drinking beer while at work. For some it’s simply part of their job. However, when too much alcohol is consumed and judgement is altered, some employees can put your business at risk of a law suit or physical damages. Joel Van Parys from Carothers DeSante & Freudenberger shares how he advises breweries to protect their business from such situations and how to prevent them. Many people have resolutions for their personal lives, but how about for your business? Adam shares advice one setting and sticking to resolutions in this episode. In this quick tip episode Adam covers all of the things you need to be aware of as a business owner and having a logo design created. He covers what the process is like, what kind of designer or agency you should hire and what you should expect to receive. It's not uncommon for people to view designers as artists. However, there's a lot that we have in common with chefs, brewers, roasters, etc. 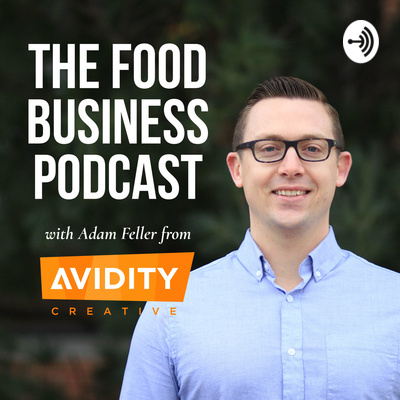 In this Quick Tip episode Adam tells you why Avidity specializes in working with food industry clients and why you all should see yourselves as artists. Those who have already opened or managed a restaurant know that your drink menu can bring in a lot of revenue. Adam is joined by Jared Giunta, the beverage director at Proof, which was named the best restaurant in Iowa by Time magazine. He discusses what to watch for when building your own drink menu and how to conduct an experience for your customers. If you're ready to take your brand to the next level then check out aviditycreative.com/howitworks. So often breweries miss out on a huge opportunity when releasing a new beer into their lineup. All of the work goes into creating a recipe and production and the marketing of said beer is overlooked. Aaron Steinmann from Brewhaus Media joins Adam Feller to provide 6 pieces of advice for making making the most of your beer launch. If you need help branding or promoting your new beer please reach out to Brewhaus Media or Avidity Creative for a quick chat. It will be well worth your time. Adam addresses 3 common myths about branding in the food industry. Isn't branding the same as advertising? Isn't branding expensive? Do I really need branding? These are all questions answered by the owner of Avidity Creative, a branding and design agency specializing in the food industry. Part of building an experience your customers enjoy is designing an environment that sets a tone. David Pilkenton of Draftsman Design is an interior designer specializing in the restaurant industry. He has tons of advice for working with interior designers to turn your baby (restaurant) into an outstanding member of society. Opening a restaurant? You'll want to have your brand on lock. Avidity has changed the game and simplified the branding process. Visit aviditycreative.com/howitworks. What is it like to write reviews of food you eat and get paid for it? Should restaurants inviting reviewers to their place? Karla Walsh is full of insights after her experience as a food blogger, digital food editor for Better Homes & Gardens magazine, and the Datebook Diner for the Des Moines Register. If you're starting a restaurant check out Avidity's Brand Serve™ process. We've simplified the branding process to take only 3-4 days of your time. Visit, aviditycreative.com/howitworks. Culinary Architect Mark Steenhoek discusses what his road to becoming a chef is like having left his career of 15+ years as an architect. He's got some great advice for making connections and ways to break into the culinary scene. If you're starting your own restaurant and want to have a great brand while spending less of your time creating it then go to http://www.aviditycreative.com/howitworks. If you're considering starting your own brewery, restaurant, food truck or cafe then you've probably thought a little about what to name it. In this episode I give you my advice and things to avoid when determining what to call your establishment. Need help with naming? Check out http://www.aviditycreative.com/howitworks. One of the most memorable and important parts of the customer experience at your restaurant is the menu. Is it easy to read and understand? Is it organized? Is it overwhelming and not appetizing? I've got three ideas you can implement right away that will improve the experience for your customers. Chefs John Ross and Todd Stein discuss the benefits of starting a restaurant group using their B Hospitality Co. in Chicago as an example. Among hospitality groups we discuss topics like concepts and financing your restaurant. Wondering how to build up your social media channels to fuel your restaurant, brewery or food truck? How do you gain followers? How do you handle complaints? Chris Corley, Christina Miller and Matt Keck from VML in Kansas City join as guests to discuss how they conquer social media with Wendy’s. It’s “Fresh, never frozen” awesomeness in this episode. Facebook recently made an announcement of a change to their algorithm that will take attention away from business pages and provide more content from family and friends. How will this effect your restaurant's page and how can you gain more followers organically on all of your social pages? Find out in this episode. What things should you be looking for when hiring for your restaurant? How do you handle under performing employees? What makes for a good head chef? Scott tells us his thoughts on these topics and more in part 2 of our conversation. Looking to start a restaurant or add another one to your group? Location, location, location. Theme, theme, theme. Scott has experience in both of these areas and tells us how he goes about determining both. One of the most important aspects of owning a restaurant is having your menu figured out. Chef Christopher Place gives us his advice on how to go about having the best menu, experience as well as other topics for expanding your restaurant. In this episode I give you an idea of what to expect with this podcast each week.